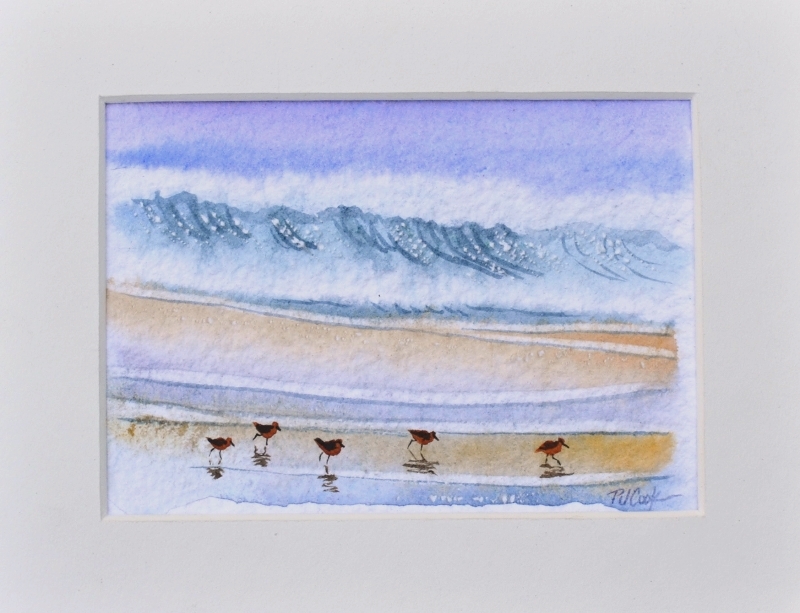 This original watercolor of sandpiper birds is 6″ x 4″ and shows a group of shorebirds running on the sand along the waters edge. A common scene along many beaches around the world. I love to watch these small beach birds as they avoid the larger waves looking for food. The small birds are usually in small groups as they run in and out with the ocean waves. This small watercolor of sandpiper birds is for sale at this link.